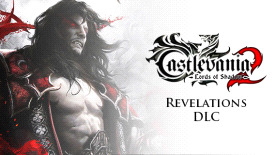 Play as Alucard in this extensive add on for Castlevania: Lords of Shadow 2. The immersive story is expanded further as new branches of the plot are uncovered, along with rich new environments and challenging puzzles. Fight creatures of darkness and discover the true extent of Alucard’s involvement in Dracula’s story, his deal with death and his fight against Satan. Experience a whole new aspect of the thrilling conclusion to the ‘Lords of Shadow’ saga, including some enlightening revelations! Requires Castlevania: Lords of Shadow 2 (base game) to use this DLC.